London, Paris and New York are global cities: modern hubs for travel, technology and trade, their names and images echo around the globe, capturing our imaginations with their distinctive histories, famous residents and iconic landmarks. Cities, such as these, which connect with the wider world become mixing pots for a rich interplay of diverse ideas, people and cultures. When we look to the past, it can be difficult to imagine that ancient cities were as vibrant and cosmopolitan as today’s. To get a sense of what our urban past was like, we could journey to Rome, Athens and Istanbul (formerly Constantinople and, before that, Byzantium), which have histories spanning back more than 2,000 years. But perhaps these cities, with their histories obscured by modern developments and continuing populations, don’t leave much scope for the imagination. After all, it can be difficult to see into the past with glassy hotels, brightly lit shops and hordes of tourists in your way. Instead, it’s better to consider an alternative trio – Nineveh, Antioch, and Lepcis Magna (pictured above) – which can tell us fascinating stories about ancient urban life. Nineveh lies on the banks of the River Tigris in northern Iraq, cheek-by-jowl with the modern city of Mosul. 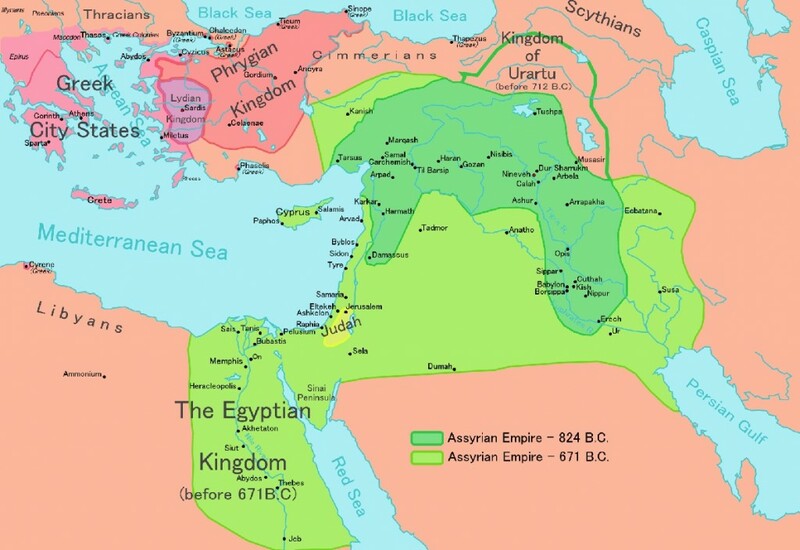 In the seventh century BC it was declared the capital of the powerful Neo-Assyrian empire by King Sennacherib, after the death of his father Sargon II. This marked it as the political and cultural centre of an empire which, at its peak, stretched across most of the Middle East. But a city of this magnitude doesn’t last without the resources to sustain it. King Sennacherib understood this. One of Sennacherib’s inscriptions tells us that he brought water to the site by tearing open mountain and valley, creating canals to provide the city with a constant supply, pointing to an early mastery over one of the region’s scarcest resources. Of course, an imperial capital must have style as well as substance. Sennacherib undertook a number of major projects, embellishing Nineveh with parks and orchards, and created a reed marsh, like those found around Babylon to the south. It is even possible that Nineveh was the location for the famous Hanging Gardens – one of the seven wonders of the ancient world. The Neo-Assyrians were skilled artists, and wielded their talents as a form of soft power, to put the majesty of their empire on display. The palaces at Nineveh were furnished with sculpted decoration, showing the exploits and achievements of the kings. 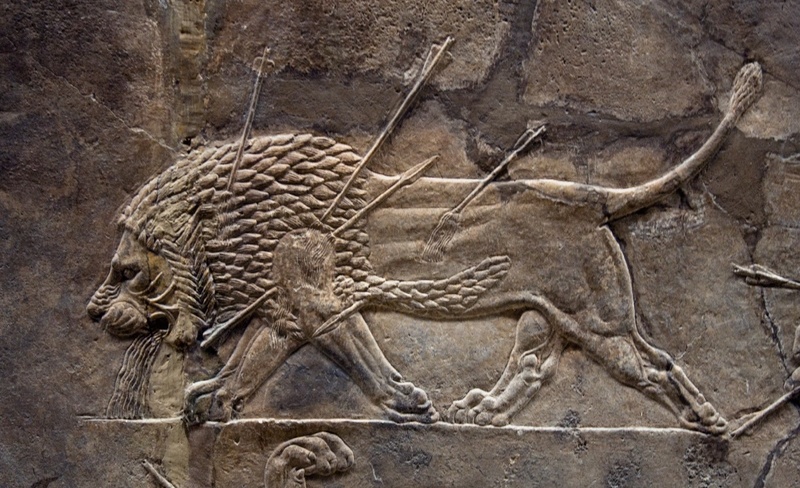 Some of the most beautiful examples of the artwork of this period come from one of Sennacherib’s successors, Ashurbanipal (668 to 627BC), who commissioned the very fine lion hunt reliefs, which we now see at the British Museum. Ashurbanipal was also very proud of being a scholar, and owned a libraryof more than 30,000 clay tablets gathered from all across the Neo-Assyrian empire. The library contained texts about omens and oracles, epics and myths, and mathematics, at which the Neo-Assyrians were very adept – this would have been the British Library of its day. Moving on in time and a little further west, Antioch (modern-day Antakya) is located in south-eastern Turkey on the River Orontes. It was founded in 300BC by the first king of the Seleucid dynasty: Seleucus I Nicator (312 to 280BC) – a former general of Alexander the Great. 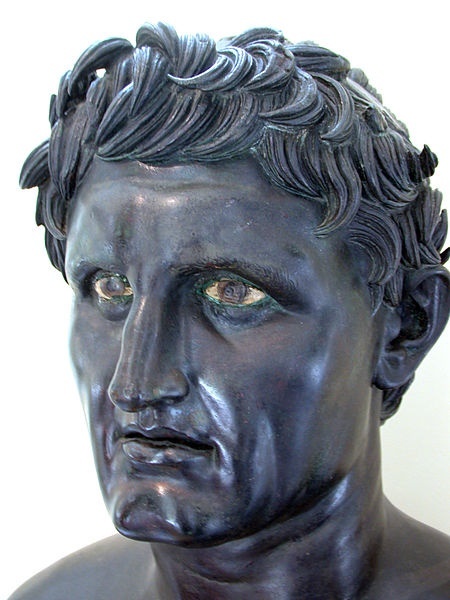 Seleucus understood the importance of forging connections with powerful neighbours and attracting the best talent to the city. To this end, he settled large numbers of Greeks in Antioch, strengthening its links with the Greek world. The Greek influence continued to make itself felt in houses in the subsequent Roman period, which contained some of the best mosaics of the Roman world and often seemed to choose Greek subjects, such as the god of wine, Dionysus. During the Roman period, Antioch became a major player in the rise of Christianity. Indeed, as might be expected from a city that lay between East and West, it was renowned for its religious and ethnic diversity: worshippers of Egyptian cults to Isis, Harpocrates and Attis, local Syrian cults, Roman pagan cults and followers of Judaism and Christianity, all populated the city. The city was also home to some incredibly advanced infrastructure. Like London with its Thames Barrier, Antioch took an ingenious approach to flood-prevention. A large dam, known as the “Iron Gate”, was built by the emperor Justinian (527 to 565AD) to protect the city from seasonal flood waters. And around 69 to 96AD, a dam and tunnel were built at Antioch’s port, Seleucia Pieria, to divert water away from the site. This system was protected by an “evil eye”, showing the central role that water played in the lives of the Romans. 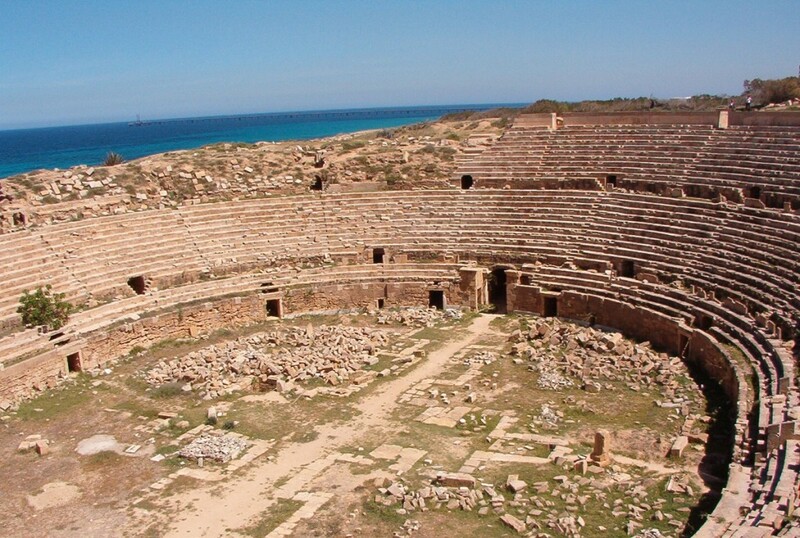 Lepcis Magna is a large Roman city on the northern coast of Libya, at the mouth of the Wadi Lebda. Trade was vital at this site. Its impressive harbour ushered in traders from other North African cities, which we can see inscribed at Lepcis Magna’s amphitheatre. The site is also famous for being the birthplace of the Roman emperor Septimius Severus (145 to 211AD) – the first African emperor of the Romans. The architecture shows a fusion of Roman and African traditions, as Septimius Severus lavished his home city with many fine buildings. One of the most impressive from this period is the Arch of Septimius Severus, which is decorated with scenes showing the imperial family and processions. Each of these cities were thriving, cosmopolitan places, where people from around the world gathered to exchange ideas, build their wealth and seek fame and fortune – just as we do today. Their citizens were capable of impressive technological feats, and they boasted remarkable works of art to rival the collections of the British Museum, the Louvre and the Metropolitan Museum. Now these metropolises, even if they can be accessed, are only visible as fragile archaeological ruins. Yet they are powerful reminders of our rich and complicated histories, and the countless millions who helped to shape the world we live in today. They even give us a glimpse of the future – to a time when our own great cities have crumbled into dusty fragments, to be examined and imagined by generations to come.